Check out the Interactive Map Search tab above or look below for homes available in Hanover. Hanover, Maryland is an area which has seen massive growth and appealing development since 2000. Hanover spans portions of northwestern Anne Arundel County, eastern Howard County, and is located south of Baltimore. Homes in Hanover are situated within newly developed neighborhoods and housing developments, and are surrounded by new shopping centers, restaurants and other personal living amenities. Hanover offers very easy access to Baltimore, MD, Washington, DC and other Maryland counties. Hanover is conveniently located near the intersection of Maryland Route 100 and the Baltimore-Washington (BW) Parkway. Located just southwest of the Baltimore-Washington International (BWI) Airport and minutes from rail stations, Hanover offers an ideal location for those who travel as well as commute to the Washington, Baltimore, or their surrounding areas. With its vast development since 2000, Hanover offers a very “fresh” taste of living, surrounded by appealing retail and restaurant areas, in which many neighborhoods and housing developments offer pools and community centers. Wonderful 3-bedroom, 2.5 bath Transitional with 3 finished levels on an exceptional cul-de-sac lot backing to trees. Hardwood foyer. Family room with full brick fireplace. Formal dining room. Eat-in kitchen with granite counters. Master suite with 2 closets and en-suite master bath. Spacious Rec Room. Updated baths. Large 2-car garage. Big deck with gazebo. Great condition and beautiful setting. Convenient location close to shopping and major routes. NEW CONSTRUCTION, to-be-built Luxury Elegant Brick-front, 22 ft-wide town home and up to 5 BRs! 2-Car Garage, Dramatic SS/Granite Kitchen; Finished Game Room; Rooftop Terrace/Loft Option; 9 ft Ceilings; Oversized Pantry; Choose your own Kitchen configuration. 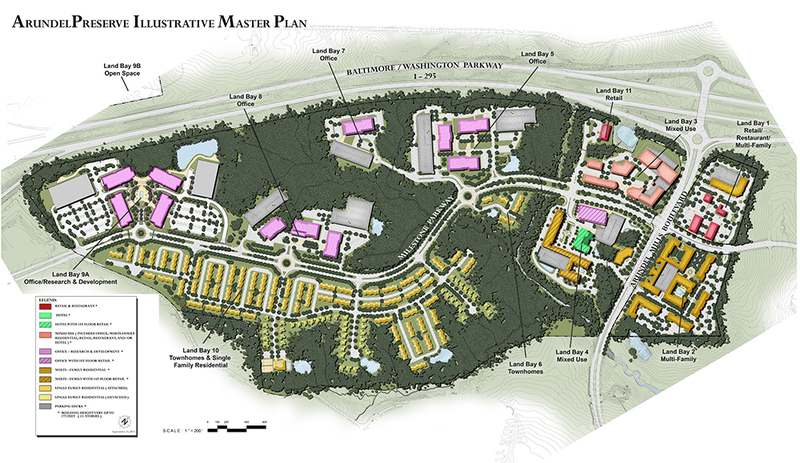 New Planned Community close to Balto/Meade, clubhouse, pool, fitness, and future onsite retail. Call (888) 717-4073 for more information! This home is a MUST SEE! Beautiful & welcoming open concept floor plan that caters to every life style. Featuring an exquisite gourmet kitchen with quartz countertops and hard surface floors. After a long day, escape to your master suite and generous master bath that offers the luxuries of a large home, or find your way to your private deck for some fresh air and relaxation. This home is a MUST SEE! Beautiful & welcoming open concept floor plan that caters to every life style. Featuring an exquisite gourmet kitchen with quartz counter tops and hard surface floors. After a long day, escape to your master suite and generous master bath that offers the luxuries of a large home, or find your way to your private deck for some fresh air and relaxation. Brick Colonial in quiet cul de sac with 2 car garage, deck and hot tub. 10 minutes to park and ride, unique stair layout. Arundel Mills Mall less than 1 mile away, close to shopping, casino, restaurants, military, airport, entertainment and schools. Brand new granite and stainless steel appliances, new hardwood floors, oak cabinets, breakfast bar, kitchen island, sun room flooded with light, french doors lead to deck right off sunroom with hot tub. Large Master bedroom with double doors, large walk in closet and updated private bath. TURN-KEY Updated Colonial in Quiet, Tucked, Cul-de-Sac with Generously-Sized, Fenced Backyard Overlooking Dense Woods! 3 Upper-Level Bedrooms, 2.5 Baths., Large Master Suite w/ BRAND NEW Master Full Bath--STUNNING! Wide-Plank Gleaming Hardwoods on Main Level, Granite, Stainless Appliances & Updated Cabinetry in Spacious Kitchen! Get cozy in den off kitchen with French Doors opening to large deck just begging to entertain! Need a private get-away at home? Claim this Basement!! Large Rec room w/ office space/workout- you name it!! Walk-Out Steps for Convenient Access! Large Utility/Storage Room. Still Need Space?? Bring your stuff... large newer shed w/ concrete patio ready to house your extras! TWO driveways and One Car Garage offer ample off-street parking & storage!! NO HOA!! The Only thing left to do is unpack! Hurry to this one!!! Rare Find! Private, backs to trees mid lvl condo in elevator building in sought after Arundel Mills! ; Gourmet kitchen w/42 cabinets, Corian countertops & tile backsplash; family room w/gas fireplace; office/den space; MBR w/double closets (1 walk-in); tile floors in both bathrooms; custom closets; walking distance to grocery store, restaurants & Arundel Mills! WHY WAIT FOR NEW CONSTRUCTION WHEN YOU CAN MOVE RIGHT INTO THIS GARAGE TOWNHOME WITH UPDATED FINISHES! Hardwood floors throughout, entry level den w/ half bath, open main level w/ spacious living room, dining area, & island kitchen w/ granite counters & ss appliances, Master suite w/ crown molding, 2 closets & full bath w/ dbl sinks & Roman shower, 2nd bedroom w/ hall bath, rear deck, 1 car garage, & driveway parking! Sold As-Is! Shows like a model! This beautiful home awaits its new owner. Just a little over 1 year young, home boasts beautiful hardwood flooring in foyer and main level. Extended kitchen island, stainless steel appliances, five burner gas stove, built-in microwave, glass back splash, separate dinning room, family room, sun room, & lower level rec room. Master bedroom features 2 large closets. Third bedroom converted to Her Master Closet..a must see! Home has upstairs laundry, 4 ceiling fans, wood blinds throughout, 3 storm doors, finished garage with painted floor, cabinets and overhead storage. Lower level with rec room, walk-out patio and lots of outdoor space. The main level also boast an upper lever deck. Upgraded thermostat and doorbell with camera. Both can be operated using your phone. The list goes on! Stop by to see this beauty!! New Construction! Kitchen open to Great Room - perfect for daily family gatherings & entertaining. Owner's Suite w/sitting area. Spacious hall bath w/linen & double bowl vanity. Upgraded features & other floorplans available. Please check w/builder rep for details. Builder to pay $10,000 towards purchasers closing costs w/use of sellers preferred lender & title co. Stunning single family home in the HARMANS WOOD Community. Sits on a HUGE cul-de-sac lot with a completely fenced in backyard. This home has been completely renovated and features the following. Exotic Brazilian Tigerwood flooring throughout the main level, stairs and upstairs hallway. Solid US-made maple cabinets with soft close doors and full extension drawers. Beautiful granite kitchen countertop with Travertine stone backsplash. Large deck off the family room. The upstairs features a large master bedroom suite. Master bathroom features Travertine stone and a 3/8 thick glass shower enclosure. All bedrooms in this home are spacious. The basement features a large finished recreation area and a finished bonus room (office/get-away). New 30-year architectural shingle roof, New US-made double-hung windows with 25-year glass break warranty, New interior and exterior doors, Crown Molding, and New 5~ base mold throughout the entire home. Outstanding QUALITY features you won~t find anywhere!!!!!! Absolutely better than new! Beautiful single family home in Villages of Dorchester! This home has a lot to offer: completely replaced kitchen with high end appliances, light-filled morning room, surround sound speakers, gas fireplace in family room and in the basement, hardwood flooring, crown molding and chair rail. House has an office space on the 1st floor that is very spacious and is currently being used as a sitting room. Custom cabinetry in the garage, custom lift for additional garage storage, irrigation system, expanded concrete patio for entertaining backs to conservation area providing privacy. Spacious custom basement with a full bathroom. Additional unfinished basement space has a lot of storage space. New Water heater. Conveniently located within the Baltimore/Washington DC corridor. Community Center houses meeting rooms, outdoor pool, sand volleyball court and picnic area with grilling facilities. Hiker/biker trails, tot-lots and recreational areas are located throughout. Sellers are flexible on the settlement date. What not to love about this house? New construction townhomes by D.R. Horton located in Parkside. Our homes feature 22 and 24 foot wide, 2-car garage homes fully finished on three levels. Our smart homes include security systems, 2 Alexa packages, with a camera door bell. Our homes are fully loaded with laminate hardwood on the main level, upgrade, carpet and pad throughout. Your choice of granite or quartz kitchen counters and so much more. Up to $15,000 towards closing assistance. Sales Center Hours: Monday-Saturday: 10AM-6 PM and Sunday 12 NOON to 6 PM* Open House Sat & Sun 1 - 4. Stop by model today! Photos for viewing only - taken in a model home. Wonderfully Maintained and Updated Home in the beautiful Harmon Woods Neighborhood with Two-Car Garage! This lovely home offers 3 bedrooms and rare 2 full baths upstairs. The home features beautiful hard wood floors and stainless steel appliances. Dining room walks out to a huge deck and massive back yard. Lower level offers bonus living space as well as a 4th bedroom/office with a half bath. Convenient to all commuter routes and Arundel Mills Mall! STUNNINGLY UPDATED RIDGEFIELD COLONIAL SITUATED IN THE CUL-DE-SAC OF A QUITE NEIGHBORHOOD!! THIS HOME FEATURES AN UPDATED KITCHEN WITH GRANITE COUNTER-TOPS, STAINLESS STEEL APPLIANCES, SOFT CLOSE CABINETRY AND PROPANE COOKING... LARGE DINNING ROOM, BREAKFAST AREA AND FAMILY ROOM WITH A FIREPLACE/WALK OUT ACCESS TO BACK DECK!! HARDWOOD FLOORS THROUGHOUT MAIN LEVEL, LARGE MASTER SUITE WITH UPDATED MASTER BATH AND HUGE WALK IN CLOSET... BASEMENT FEATURES WOOD FLOORS, LARGE BED AND FULL BATHROOM AS WELL AS HUGE REC ROOM WITH SLIDING GLASS DOORS TO YOUR FENCED IN BACKYARD... BACK YARD FEATURES TREES FOR PRIVACY, FULLY FENCED, LARGE STORAGE SHED AND A MASSIVE BACK DECK!! NEW ROOF AS OF 2018 AND SO MANY MORE UPGRADES ITS HARD TO LIST THEM ALL... LOCATED NEAR FORT MEADE, ARUNDEL MILLS MALL AND ROUTE 100 BUT FAR ENOUGH AWAY YOU CAN ENJOY YOUR PRIVACY... IF YOU HAVE ANY QUESTIONS OR WOULD LIKE TO SEE THIS AMAZING HOME, DO NOT HESITATE TO REACH OUT TO GRANT OR JIM!! Toll Brothers built home that must be seen to be appreciated. If you are looking nearby, definitely choose to see this one too. Immaculate condition with plenty of upgrades that you expect to see. Enjoy the great design choices from ceiling fans, flooring, kitchen cabinets and countertops. There are two master bedroom suites. Southern exposure that brings in lots of light and great views of the woods make this home bright and relaxing. Closets professionally designed and installed. Great central locations with an ever growing list of amenities close by. Great HOA, which provides a fitness center, clubhouse and pool. If looking in the area definitely consider seeing this absolutely pristine home. Check out the video! New construction townhomes by D.R. Horton located in Parkside. Our homes feature 22 and 24 foot wide, 2-car garage homes fully finished on three levels. Our smart homes include security systems, 2 Alexa packages, with a camera door bell. Our homes are fully loaded with laminate hardwood on the main level, upgrade, carpet and pad throughout. Your choice of granite or quartz kitchen counters and so much more. Up to $15,000 towards closing assistance. Photos Representative - taken at model. Sales Center Hours: Monday-Saturday: 10AM-6 PM and Sunday 12 NOON to 6 PM* Open House Sat & Sun 1 - 4. Stop by model today! New construction END of GROUP townhome by D.R. Horton located in Parkside. Our homes feature 22 and 24 foot wide, 2-car garage homes fully finished on three levels. Our smart homes include security systems, 2 Alexa packages, with a camera door bell. Our homes are fully loaded with laminate hardwood on the main level, upgrade, carpet and pad throughout. Your choice of granite or quartz kitchen counters and so much more. Up to $15,000 towards closing assistance. Sales Center Hours: Monday-Saturday: 10AM-6 PM and Sunday 12 NOON to 6 PM* Open House Sat & Sun 1 - 4. Photos Representative -taken in model. Stop by model today!